There is no more iconic shape than that of a Porsche 911. Even in its modern iterations, a 911 is instantly recognizable. But it is the early ones – especially the air cooled models – that have been climbing the value ladder. 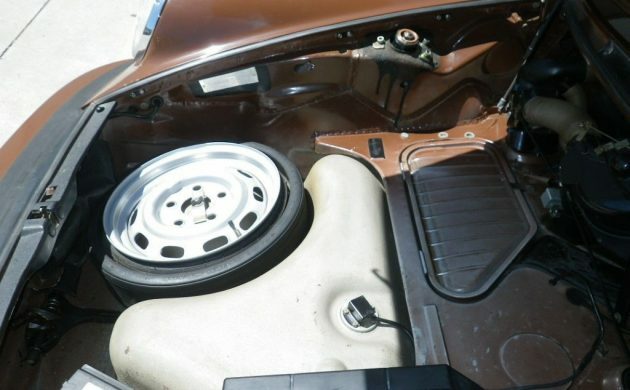 Here is a 1975 911S on eBay in Carson, California with a BIN price of $41,900 with three days to go. 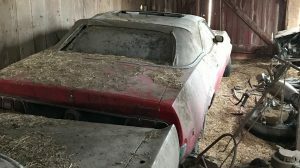 Thanks, anonymous Barn Finds reader for the tip! Dad always said that if it sounds too good to be true, then it isn’t likely true. 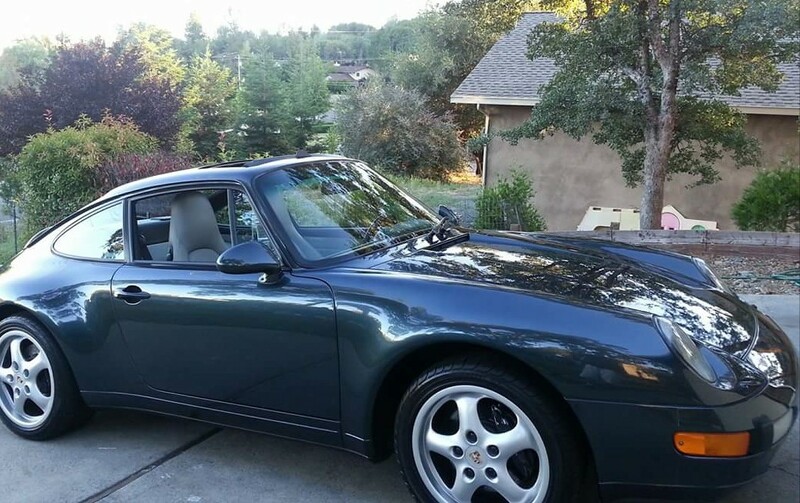 A good-looking ’75 911S for well under six figures? OK, the engine is out of it and disassembled – not a deal killer, but it isn’t the correct engine for the car. It’s from a 1981 911SC. Serious Porsche fanatics have already turned up their noses, but maybe there’s a deal here for you if you’re less – uh –fanatic. 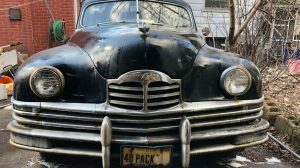 The seller is completely up front about the state of his car in that he claims it to be rust-free, accident-free and that it has been repainted once in its original dark brown. He also says that it is not a show quality car and that it is a good everyday driver. Its got new and upgraded suspension components, new glass rubber, a new interior with leather door panels and dashboard along with new carpets and headliner. It’s sounding more like a good, solid driver. The engine is a 3 liter flat six, air cooled so you can hear that slightly metallic sound on acceleration. The best part is that the new owner can choose to build it as the seller had intended or they can take it in a completely new direction. In its stock form, the 911SC put out around 180 horsepower, but with the aftermarket engine parts that come with the car the new owner should expect something more powerful. The transmission is said to be rebuilt as well. 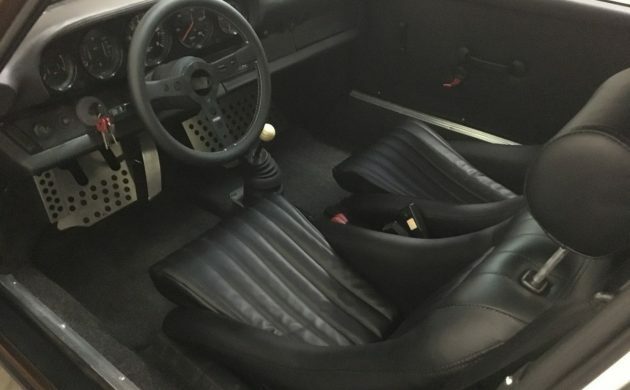 With firms such as Singer Vehicle Design modifying classic Porsches to great acclaim, maybe attitudes have changed enough that there is room in the hobby for tastefully modified air cooled 911s. This one looks like it could be the basis for a fine modified driver. So what do you think? Is $42,000 the right price to build your own legend? Some would argue that the 1969 Corvette coupe is a more iconic shape. How about the VW Beetle ? Top Five for sure. Good call. 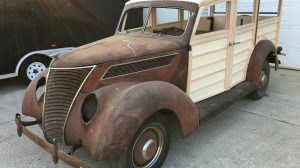 That is like trying to compare a fiddle to a Stradivarius………and this isn’t the fiddle………..or a Chevrolet pickup wrapped in fiberglass. .
Agree. It is a $42,000 Revell model kit. This looks like a great,solid project to take your time and finish up. Like how the guy spec’d it out and I’d go all in outlaw. If you could make an offer and get this for under $40k,seems like a bargain. This thing is nice, but priced way too aggressively. This is a solid buy at $20-something. To the casual observer there is very little difference between 1968-1972 Corvettes. Boy, am I getting really grouchy. But you should’a seen what my high school shop teacher would’a done if he saw an engine in a box on the floor. Wow! I could have this running in 24 hours if everything is there (order the bolt and seal kits). I rebuilt my more complex 3.6l engine and have all the tools ready. If this was my buddies car and near my home I’d be bugging him to help him wrap this up. No kidding… I thought this thread was about a P.O.S…. “Porsche Offers Squat” or “Porsche: Overpriced Six”, not Corvette. 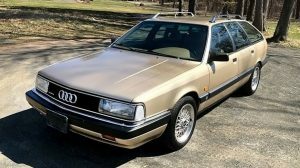 Given that these have sold at major auctions in very good/excellent condition for $45K lately, at about $42K the seller’s asking is a tad unrealistic. 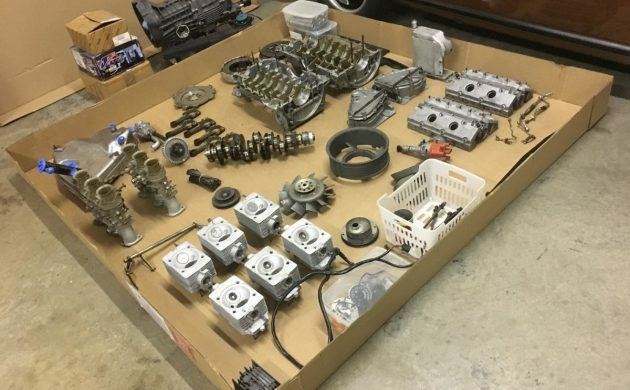 And to go for this you would need to trust that whoever did the prep on the engine and transaxle parts knew what they were doing, since these need to fit together right. There’s not much room for error. But with the prices of vintage P-car parts there’s probably the asking’s worth of parts + car here if you parted it out. You just have to take the seller’s word for it that they are all good, since this sale is final. IIRC in 1975 the ‘S’ was purely a label, and as Newport Pagnell points out, the power rating on these was 165 HP. Better drive an SC before putting the money down. I drove a few, and didn’t. Agree,not much room for error price wise. Weight is about 2,400lbs so if you breathe on that 3.0 liter some,these cars are pretty lively. Look, no comparison to modern cars,talking vintage sounds and feel here. 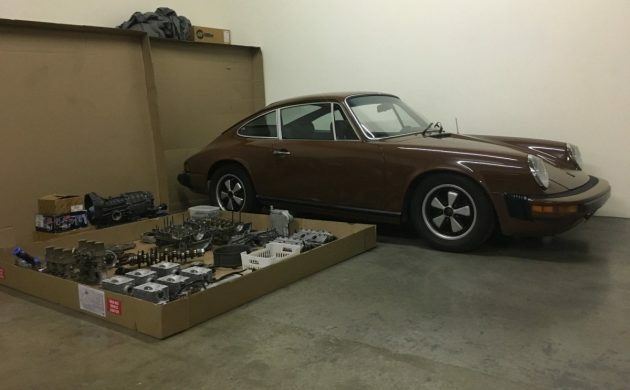 About 20 years ago,I bought a 1975 911S at a yard sale for $5000. Porsches hadn’t begun their crazy rise in price so I had to really think if it was worth it. I had never worked on one but I had done Jaguars and Corvettes. How hard could it be? It hadn’t run in a while but it was complete with nice root beer brown metallic paint and good original plaid upholstery. How could I loose I thought. I went through all the hydraulic systems and did everything I thought that I should to make it reliable. It still wouldn’t start. In desperation, I towed it to a Porsche expert by the local airport and he had to replace the mechanical fuel injection pump for $1000. I ended up selling it as a nice running car for $10k…so I lost $1k, just the price of that darn pump. My Ego had let me believe I could do it, but I learned not to buy something you know nothing about. It can definitely bite you. A funny thing though. Porsches have pressed in rocker shafts that are visible from the outside of the engine. When the bores get loose, oil will leak out through these openings. It is very expensive and complicated to fix, sooo, I took a little J.B. weld and 4 nickels and VOILA! No more leak. Somewhere out there is a Porsche with 4 faces of Jefferson on the cylinder heads. Nickles worked on Brit bike tach drives. Lemme see, now; Lessee… For $40,000, I could have a Z06 Corvette… and More than $20,000 change. @Newport Pagnell – With respect, there was no comparison to cars of the period, either. I’ve had a 1969 911 T, and three 914’s including a 2.0. Honestly; in the 1970’s XK-E’s were as little as $1500. The country was awash in big and small block Corvettes for virtually nothing. Shelby’s, Boss 302’s and 429 Mustangs, GTO’s, 442’s, Hemi’s. 340’s and 440’s were almost no money. If handling is the premium, it really is hard to beat a Porsche in tight quarters, but make mine Lotus. Porsches are fine. I have always said that, if they were priced appropriately, they are fine cars. But little chopped and channeled mid-100’s horsepower Volkswagens are just terribly low on my list of exciting cars for the kind of money they bring. Always have been. As usual @Dolphin – is right on. I’m one of those guys that owns a “chevy truck wrapped around in fiberglass” Yes my 1963 Corvette may not be a “refined” as a Porsche 911 “S”. Let’s face it Corvette is a “bar room brawler” and goes really fast in a straight line. It designed for the curvy and mountain roads of Germany. I have a friend that has a late 60’s 911 “S” and when I tune up my Vette I get spark plugs, timing light, points and a beer. My friend tunes his Porsche by bring it to “Hans” and “Deiter” getting that authentic German mechanic and Porsche mark up. And you have to bring a nice strudel and a knockwurst to convince them to work on it for you. I will sell you a very nice 993 manual w 87k on it and the 90k service already done for 45k. Just dropped 10k on valve covers and gaskets and timing chain cover gasket. 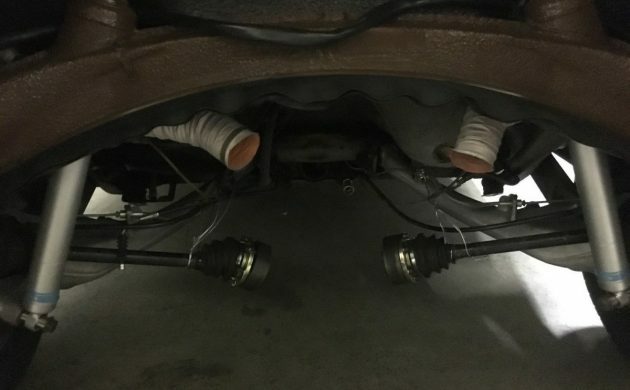 plus new plugs, wires, and distributor caps. Dog sh** brown, my favorite! With a shirt to match. The spare tire is flat so no deal.